It may sound sneaky but more restaurants are using social media to create “secret” menus. Starbucks is a pretty good example of how to create buzz, especially among teenagers. From what I hear from parents of teens, the strategy is working. Starbucks’ use of a “secret menu” to create buzz among young consumers is working. While McDonald’s and Dunkin’ Brands – its leading competitors in the quick-serve industry – struggle with flat sales, Starbucks continues to innovate and prosper. Sales at restaurants open for at least a year rose 6 percent in the second quarter, compared with 2013. That’s the 17th straight quarter of more than 5 percent same-store annual growth. “Secret menu” items are spread through word-of-mouth, websites and social media. Cookie Dough Frappuccino and Vanilla and Chocolate Chip Ice Cream Frappuccino are among the current favorites aimed at young taste buds. There is usually no mention of these items on in-store menu boards. Consumers who walk in have to know what to ask for. That increases their “cool factor” and brings in more kids. 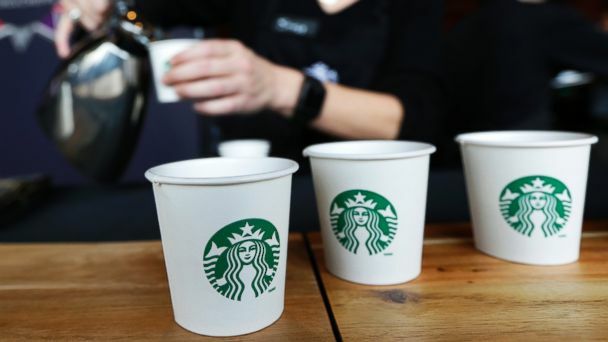 Starbucks has also increased the size of its food menu in recent months, introduced more Fizzio carbonated beverages and experimented with evening beer and wine sales at a growing number of restaurants.